Ubuntu 18.10 new features: Cosmic Cuttlefish bursts with graphics! Ubuntu 18.10 will be the second release of year 2018 of the popular Ubuntu distribution, this article will collect information about this new release. After Bionic Beaver, this time Ubuntu 18.10 will be called “Cosmic Cuttlefish“. Cuttlefish or cuttles are marine animals of the order Sepiida. They belong to the class Cephalopoda, which also includes squid, octopuses, and nautiluses. Cuttlefish have a unique internal shell, the cuttlebone. 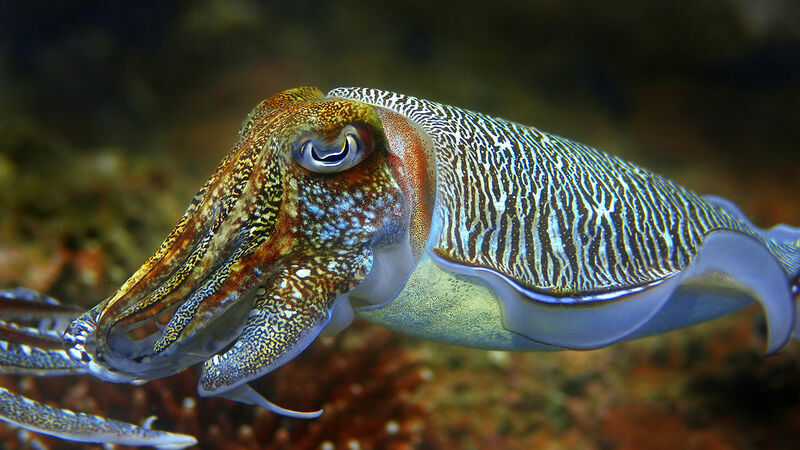 Despite their name, cuttlefish are not fish but molluscs. Codename: both names start with a letter, the first name is usually an adjective and the second one is an animal. The letters are chosen in order, if a release starts with A the next release will use letter B. Version: the version is a combination of the year and the month of the release. E.g. Ubuntu 18.04 (2018 April, April = 04, hence 18.04). Ubuntu is usually released on April and October. The last two numbers usually being .04 and .10. LTS: once every two years a Long Term Support version is released. Normal releases are supported for 9 months, LTS releases are supported for 5 years. An LTS release is usually more stable and will receive enough security updates to be in production for several years. How do I install Ubuntu 18.04 LTS? When it will be released, you will shortly find a step-by-step tutorial here. Ubuntu 18.10 is currently scheduled to be released on the 18th October 2018. Last year Ubuntu decided to change their policy regarding releases and alpha/beta stages. As you can see there are no more alpha stages and the process looks more streamlined. Cosmic Cuttlefish is the first release to be released under this new model. Originally planned for Ubuntu 18.04, the community-developed theme “Communitheme” didn’t make it to the Bionic Beaver. 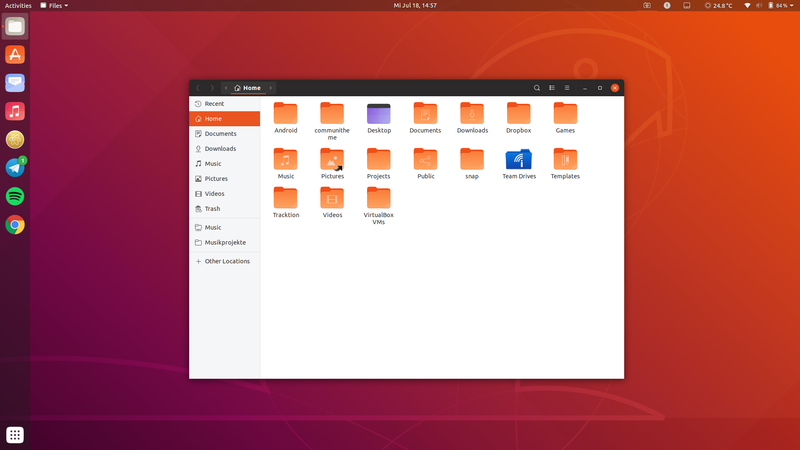 That theme was later renamed Yaru and will now be the default Ubuntu theme starting with Ubuntu 18.10 Cosmic Cuttlefish. The new theme features modern, flat-looking graphics with an icon theme derived from Suru. Needless to say this restyle was long-awaited by all the Ubuntu community base. Ubuntu now speaks to your Android Phone! Thanks to GSConnect you will be able to monitor your phone battery, transfer files and receive/send text messages wirelessly. Pretty neat, right? Ubuntu 18.10 will be powered by the Linux 5.0 kernel that will be due in the next few weeks. Actually it might still be Linux 4.20 but what’s really new about this release is the fact that Linus Torvalds might not be overseeing the process. For the time being Greg Kroah-Hartman will keep the Kernel in shape until Linus returns. In the meanwhile a Code of Conduct was adopted by Linux. This created conflictual feelings in the community. To add something very exciting, WireGuard might be ready to be included in 4.20/5.0. TL;DR there’s much going on in the Kernel. PulseAudio 12.2 and improved sound settings. Low-bandwidth mode will help you reduce the bandwidth consumption, especially useful if you’re using capped connections or mobile data. Better snap integration. Everyone who has used snap up until now has probably noticed Snaps are slower and uglier than native apps. Graphically speaking most Snaps will have a different theme compared to the operating system they run on, hence they look out of place. This update may reduce the starting time of Snaps and make them look like proper, integrated apps. Desktop Environment, which to choose?